Measure and understand your websites marketing performance with website metrics from Philadelphia’s preferred custom website design and development company, Dynamic Digital Advertising (DDA). For many companies in this industry, website metrics is put on the back burner in the professional website design and development process. However, at DDA, knowing how and why certain tools and mechanisms perform the way they do is top priority. By “connecting the dots” between your marketing tools and end results, we help you significantly improve overall website performance. engine rankings through sophisticated website metrics. Has your website been experiencing not just heavy traffic but the right kind of traffic? Are visitors responding to your call-to-action? Is your site achieving high sales growth at critical times during the year? Whatever your marketing goals, an effective marketing plan from DDA helps you meet them. We work with you to identify general strategies and specific Internet tools that will result in a more profitable return on investment. 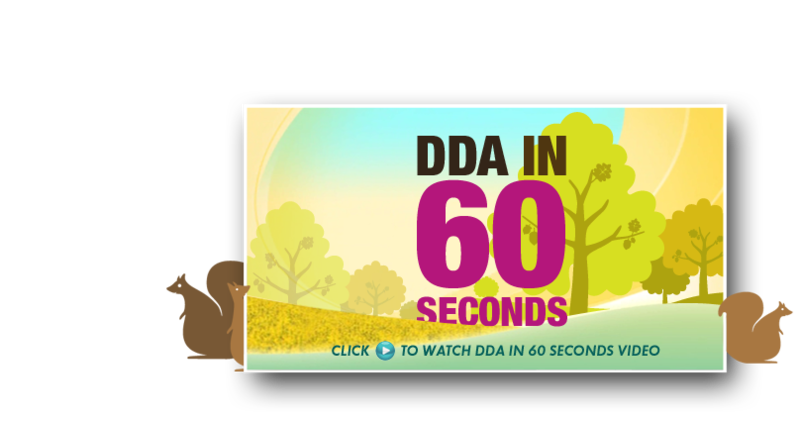 DDA takes a funneled approach to improve site performance. First, we distinguish your main objective and then apply a strategy to achieve that objective. Planning down from a broad goal to a specific marketing tool allows us to determine how well that tool supports (or fails to support) the objective. For example, if your goal is to increase the sales of a new product line, then DDA will implement the mechanisms that guide visitors to pages where that line is being promoted. When you establish an effective marketing plan with DDA, you don’t just meet goals you exceed them. from Dynamic Digital Advertising, it is important to evaluate the results. From the number of visitors you receive and the length of their stays to what search engines are finding you and with what keywords, everything must be analyzed in order to maximize usability and performance. Although it is important to receive a high number of “hits”, if those hits are not converting into customers than the mission has failed. Additionally, if your website is ranking on the first page of leading search engines for a highly searched keyword but the keyword does not apply to your product or service, than the website is not effectively marketing to your target audience. DDA pays close attention to how well your marketing strategies support your goals and makes better decisions for more positive results. 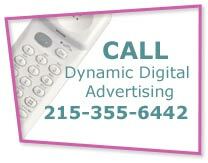 or call us at (215) 355-6442 and talk to someone directly. Dynamic Digital Advertising is one of the United States premiere graphic design firms. Based in Philadelphia, Pennsylvania, Dynamic Digital Advertising is able to offer clients one of the most expansive and diverse graphic design service offerings in the country. Our core competencies encompass radical trade show graphic design as well as print media graphic design for brochures, calendars, business cards, sell sheets, and much more. DDA graphic designers are degreed in their fields and are experienced in many graphic design elements. Regardless of the industry that your company operates in, DDA can connect you with the graphic design skills you need to impress a target audience.